Grain Design, which describes itself as a collaborative of design thinkers that was founded in 2007 at the Rhode Island School of Design, have created the Cafe America chair. Café America is a surprisingly comfortable indoor/outdoor chair. 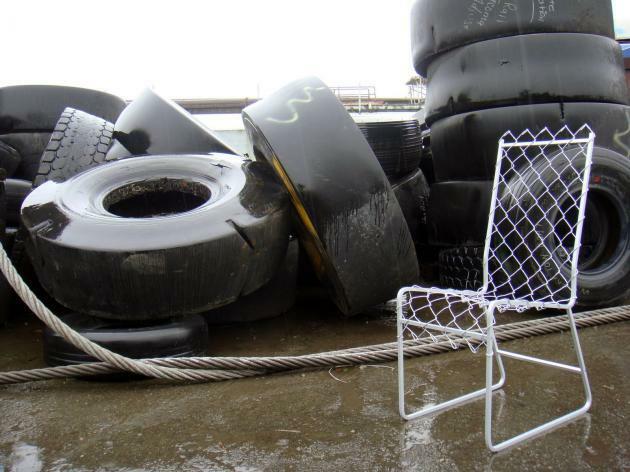 Taking inspiration from ubiquitous chain-link fencing, it recontextualizes the unsung material. 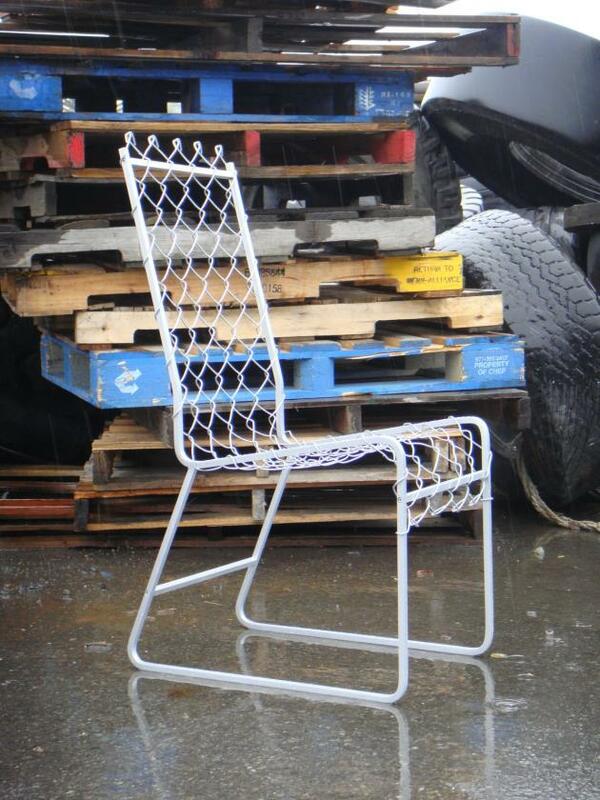 A unique cushioning effect is created by the lightly tensioned chain-link seat and back. 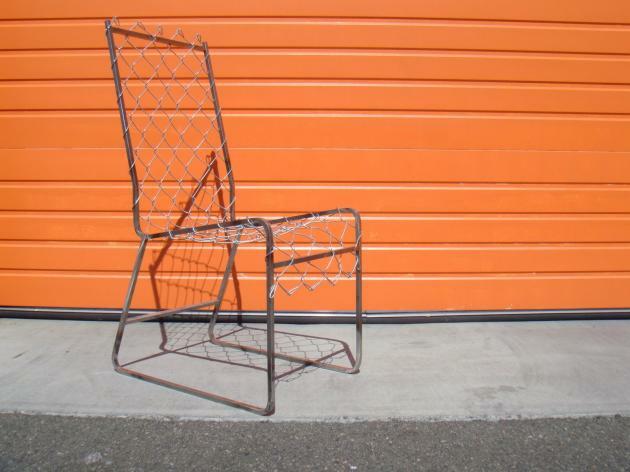 Café America is made of recycled chain-link whenever possible and flat-packs for efficient shipping and storage. Visit the Grain Design website – here. 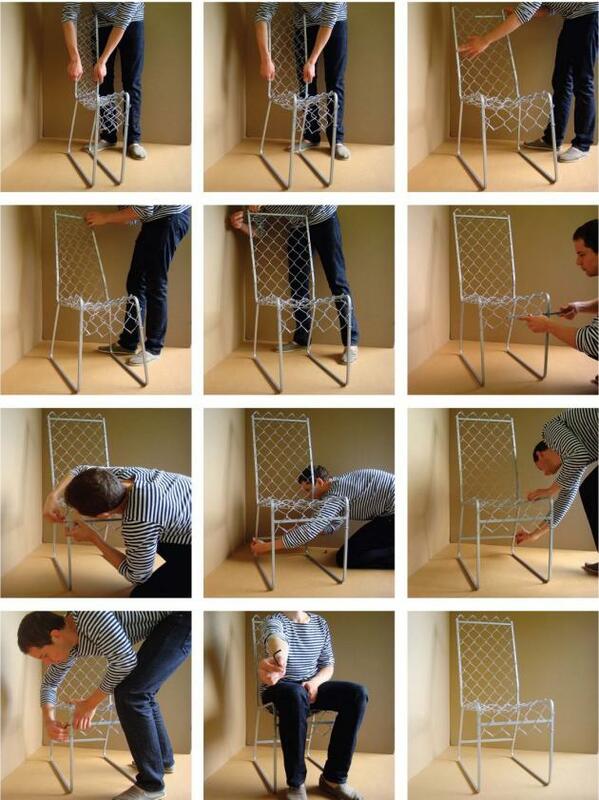 Below is James Minola demonstrating the assembly process of the flat-packed Cafe America chair. All that is needed is a few minutes and an allen wrench.